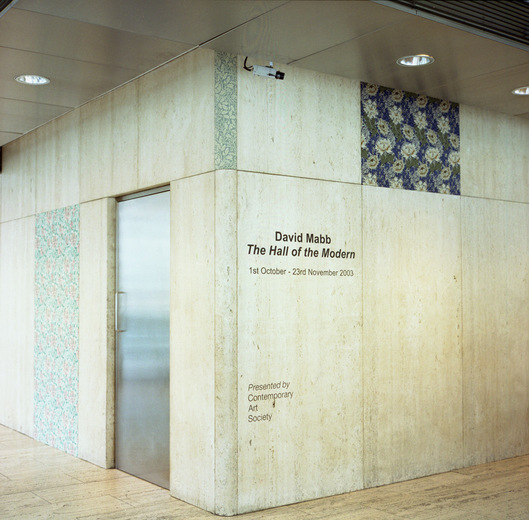 Within the foyer at Economist Tower David Mabb will present The Hall of the Modern, a video work and installation. 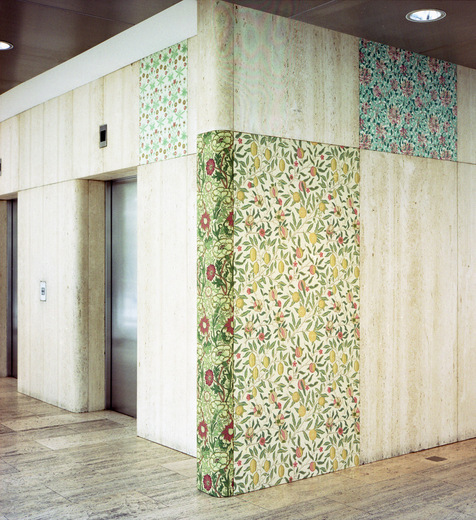 Using pieces of William Morris fabrics, Mabb will cover selected panels of the marble central column of The Economist Building which was designed in the early 1960s by Peter and Alison Smithson. William Morris, although these days considered somewhat old-fashioned, was in his time unorthodox and radical. The Smithsons’ approach to design and architecture has earned them a similar reputation. 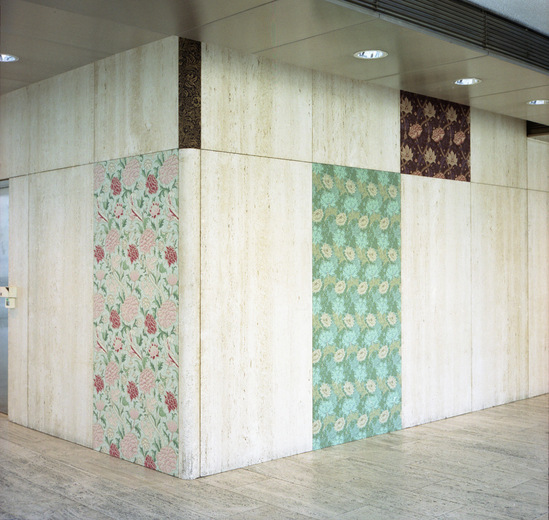 Mabb’s installation draws on this twin contrast between tradition and radicalism. David Mabb studied at Goldsmiths College (BA) and Chelsea School of Art (MA). Previous solo exhibitions include October after Eisenstein, Wapping the Movie, Watershed, Bristol (1999); Canada is for idiots, you need class war, Latitude 53, Edmonton, Canada (2000); The Decorating Business, Oakville Galleries, Oakville, Toronto, Canada (2000). 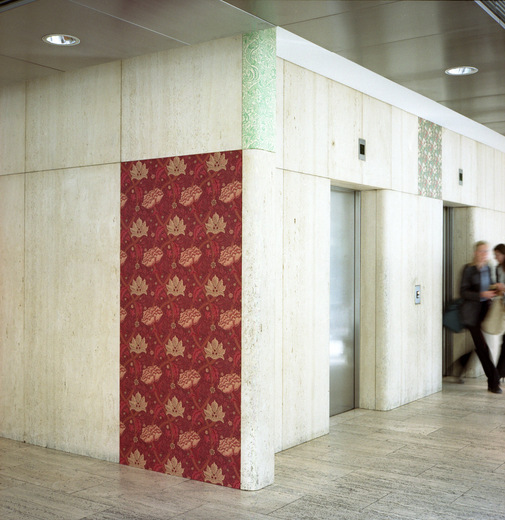 Group exhibitions include East of Eden, Spacex Gallery, Exeter (2001); Fabric: Reinterpreting the House, Abbot Hall Art Gallery, Kendal (2002).